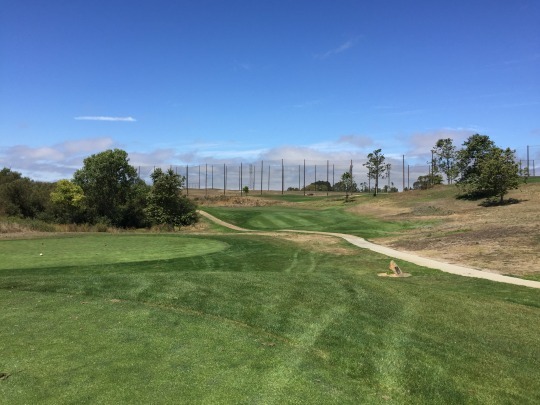 I took another little road trip this weekend, as I worked my way up the 101 Highway and then back down for a Sunday GK Plays (Greenskeeper.org) at La Purisima. It was a convenient excuse for another adventure. My driving route took me all over the place as I tried to check more courses off my list. 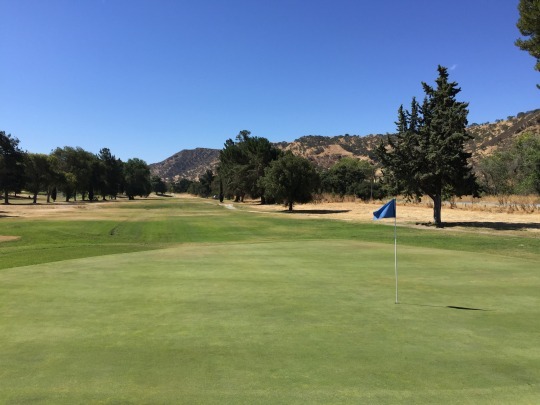 I’ll cover the full-length courses in separate reviews, but they were really the main reason for the trip. 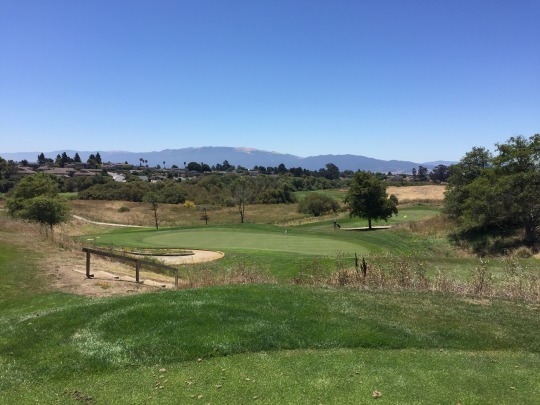 On Friday, I played the “new” renovated version of Poppy Hills Golf Course in Pebble Beach. 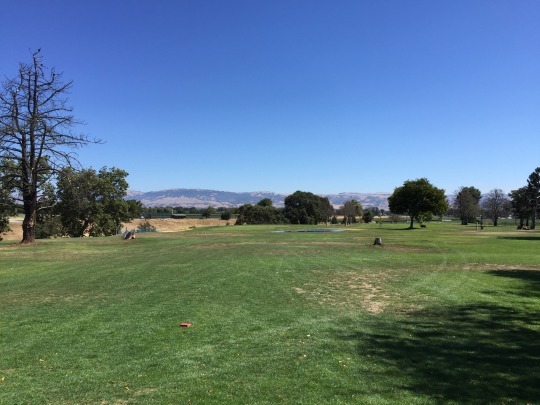 On Saturday, I enjoyed rounds in San Jose at The Ranch Golf Club and Coyote Creek Golf Club (Tournament Course). 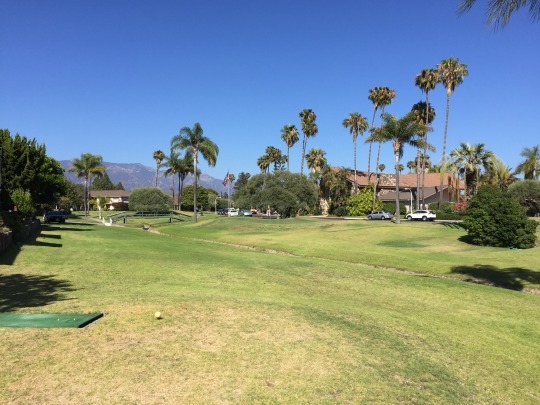 However, in between all that there were a number of short courses kind of along the 101 that I wanted to hit, so those are ideal filler in between the main rounds while on the road. I was hoping to play here even earlier in the morning, but I wasn’t ever able to reach anyone at the course before my trip. 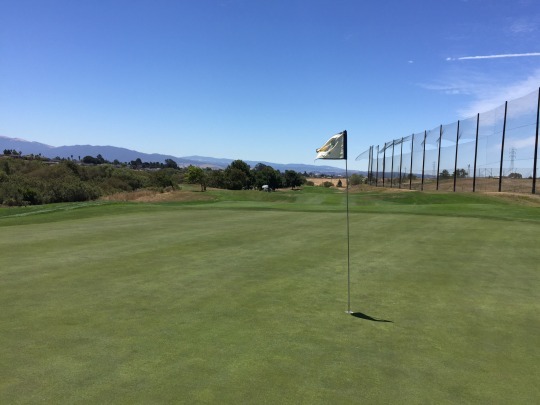 On the city’s website, it says the course opens daily at 7:30. I called several times during the week, but never got an answer. I left multiple voicemails and never got a call back. I still arrived early (around 6:45) in hopes that I might be able to get on the course before the pro shop opened. It was more or less a ghost town here, with just a couple maintenance workers out and about. They didn’t seem to welcoming, so I kind of just hung around. By 7:30, nobody else had arrived, so I had to force the issue. I walked out to one of the maintenance workers and asked if I could tee off then and pay after my round. He was uncertain, but called the lady in charge (who was running late) and she said OK. Off I went. 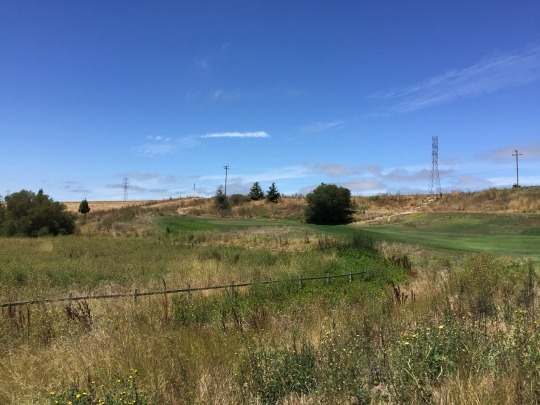 When I went in to pay after the 7th hole (the 8th tee is right next to the little clubhouse), I mentioned I had tried to call and she had a pretty dismissive attitude about it. I mentioned that I left a couple messages and she said she doesn’t know how to access the voicemail. I know this is just a little local course, but that still doesn’t seem good for business. Anyway, I paid my $15 and kept moving because I was already over it. 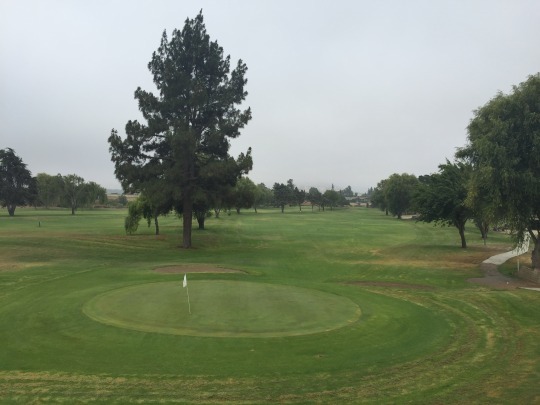 King City is a 9-hole regulation course that plays to a par of 35. 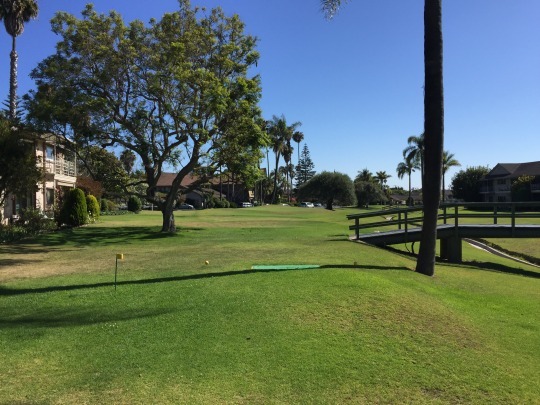 It has three par-3s and two par-5s. 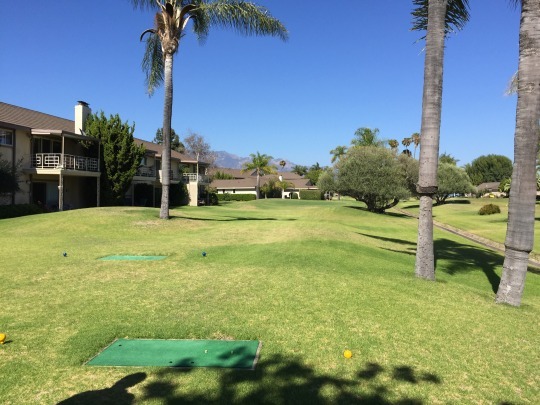 It offers slightly different tee boxes for front and back nine play. The front nine is 2,833 yards and the back is 2,740. There was a mysterious extra green and a set of tee boxes (no markers out, though) that runs behind the 1st green and plays directly over the 2nd tee. Not sure if this is an alternate par-3 hole, practice hole, tiebreaker hole or what. I played it just in case it meant something. Otherwise, this is a pretty basic little course that doesn’t offer too much excitement. It’s fine for what it is. The greens are very small. The conditions were okay. 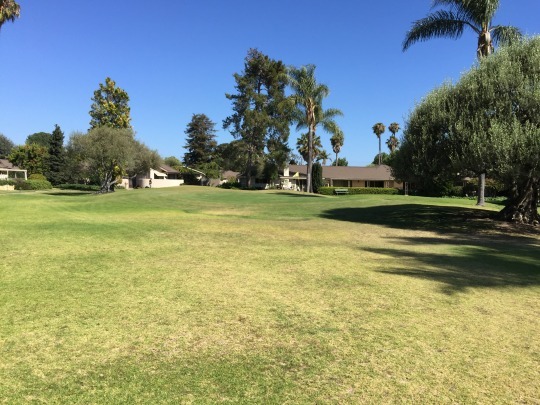 There were plenty of ugly spots, but mostly good grass coverage in areas that mattered. The greens were spongy and slow. I didn’t expect much from King City, so it was about what I anticipated. Just another one to check off the list. It’s one I’ve skipped over on many previous trips because it is rather isolated geographically. It is right off the freeway, which makes it convenient. 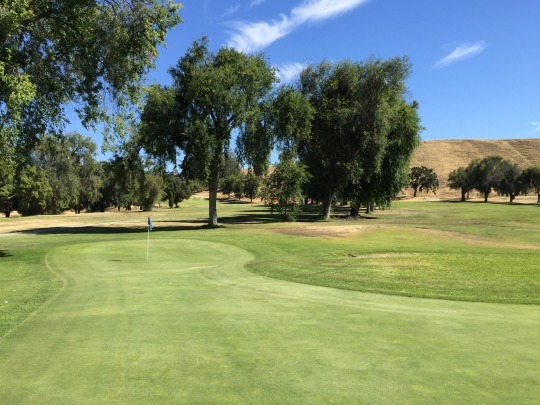 However, King City is kind of spaced awkwardly right in between other golfable destinations like Paso Robles or Salinas/Monterey, so it has always been hard to pair with anything else. I’m glad to finally be done with it. This was another course I had to pass up on a previous trip. 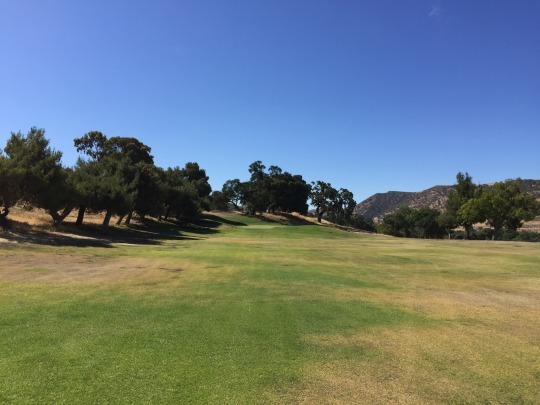 It would have been a good one to pair with the Hollister area courses (San Juan Oaks and Ridgemark), but I just didn’t have enough daylight on that day and had to pass up on Pinnacle Hills (which used to be called Bolado Park and I think something different before that). I called ahead and they said it was pretty open here, so I showed up. The rate was only $9 for nine holes and I also got a cart for $9 more. 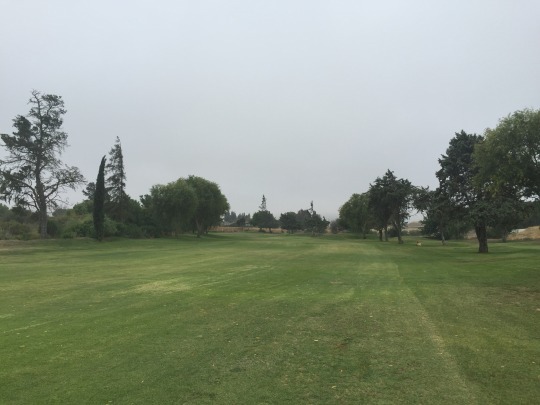 I had to play through a few groups, but otherwise got through all nine holes pretty quickly. Pinnacle Hills is another 9-hole regulation layout. 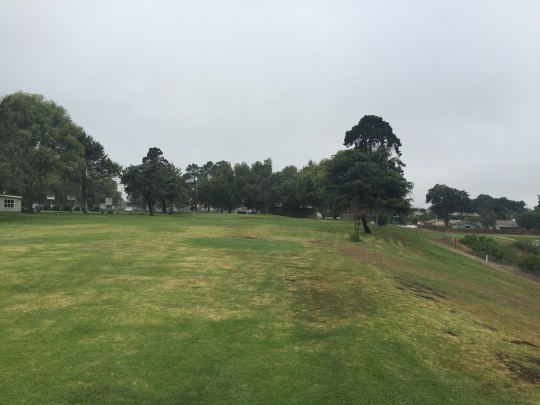 It is also par-35, but with two par-3s and only one par-5 in the mix. 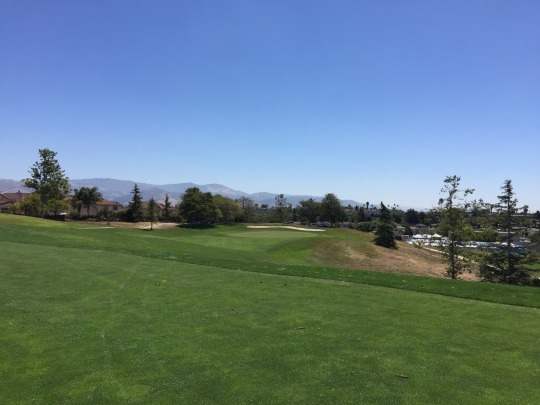 It also offers front and back nine tees, with the front topping out at 2,961 yards and the back being 3,025. The best thing Pinnacle Hills has going for it is the setting. It is a nice remote area with good scenery in every direction. 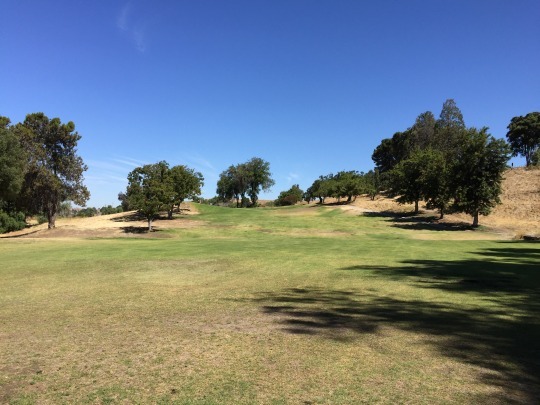 The course is hilly in places and takes advantage of its natural landscape nicely. The layout itself is a bit quirky in spots and the design isn’t that distinctive. There are a few tricked out greens. Most notable is the 3rd hole, which is a big boomerang design with a huge shelf in the middle. The conditions were mediocre at best. Everything was really dried out and worn out. 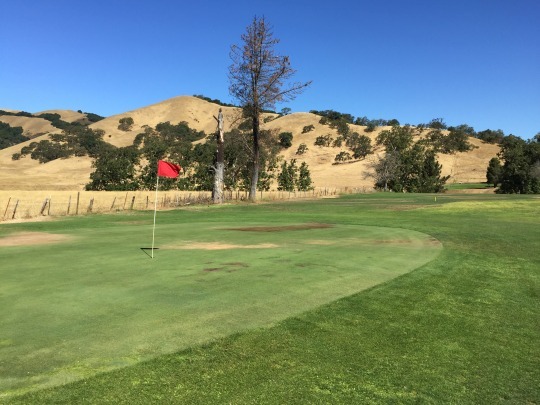 They did have a lot of sprinklers going (mostly on tee boxes). 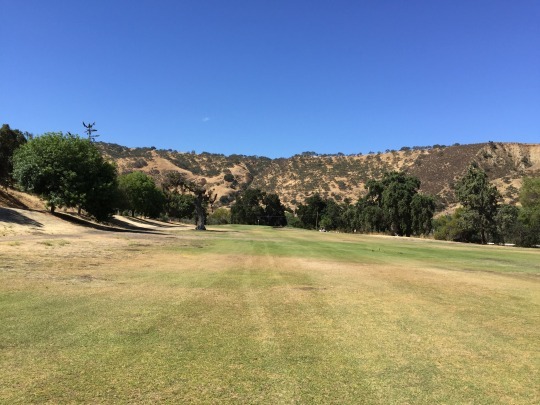 The fairways had a lot of hardpan areas, gopher mounds and spotty coverage. The rough was even worse. There was a sign by the clubhouse that noted winter rules were observed all year long here, so at least you have the option to move your ball to a somewhat reasonable lie when in a fairway. The greens were pretty decent here. Not great, but they rolled really quick. The speeds and slopes made things a little more interesting on an otherwise basic course. 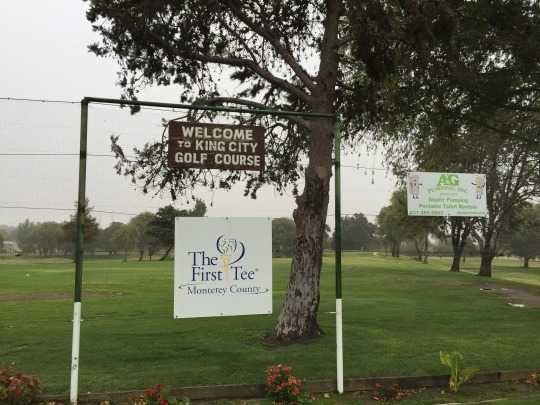 Though all the signage around the community still shows the Twin Creeks name, it seems they are slowly phasing that out in favor of The First Tee title. Many courses are home to local First Tee golf programs for kids, but some embrace it more than others. I called ahead because I know this course is often reserved exclusively for First Tee events, especially during the summer months. They said there was nothing going on Friday and it should be wide open. It was. 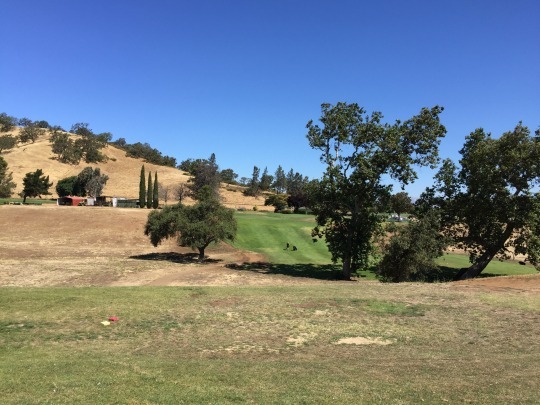 There is a ton of construction happening here as they are building a new clubhouse area and revamping parts of the property to be even better suited as a youth golf learning center. When I checked in, they mentioned the routing is likely going to change after construction is complete. Same holes, but played in a different order. The price was $15, but that was good for as much as I wanted to play. 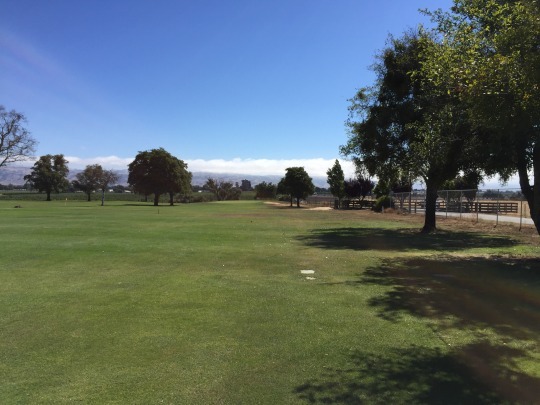 I only played the nine holes, though that would be a decent deal for locals to take advantage of. Twin Creeks is a great example of what I consider to be a good short course. It is par-31. Two of the par-4s are under 300 yards and two are more legit over 300 yards. The par-3s range from 78 yards up to 147 from the back tees. What I appreciated is that they have many different tee box configurations to suit all skill levels. From the blue tees, it’s not overly difficult, but more than interesting enough as a short executive. There are some forced carries and hazards to contend with to keep more seasoned players slightly more entertained. However, for the youngsters and beginners, there are different tees that take a lot of the trouble out of the design. 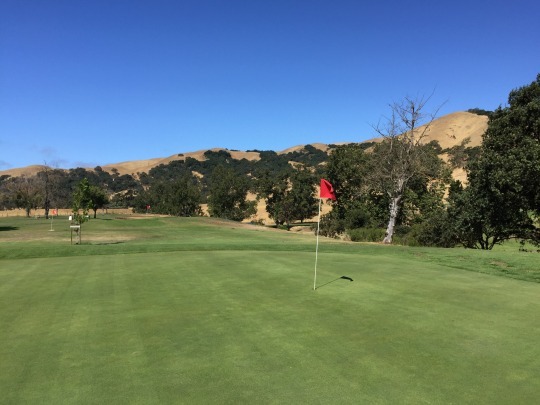 It works very well as a First Tee course that is also open for regular public play. 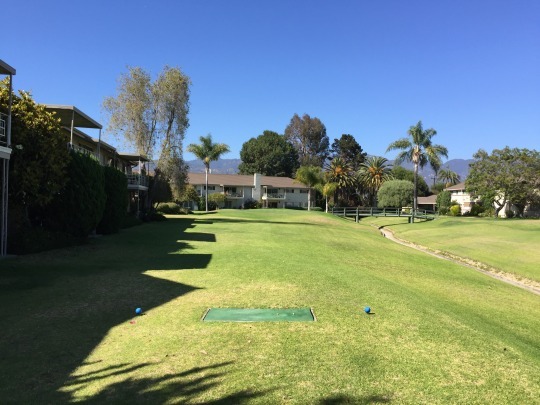 They do also have foot golf here, for what that’s worth. 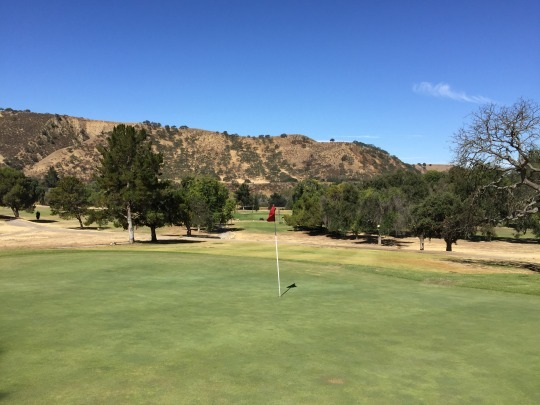 Twin Creeks offers a pretty nice setting and a somewhat hilly layout. The conditions were also very nice. There is really good, consistent grass coverage throughout the course and the greens rolled pretty well. The rough is thick and just difficult enough to make you work. It seems they are doing a lot of good things at this course and learning center, so it was probably the most enjoyable short course stop on this particular trip. I got out here around 9:30 on Saturday and it wasn’t super busy out. 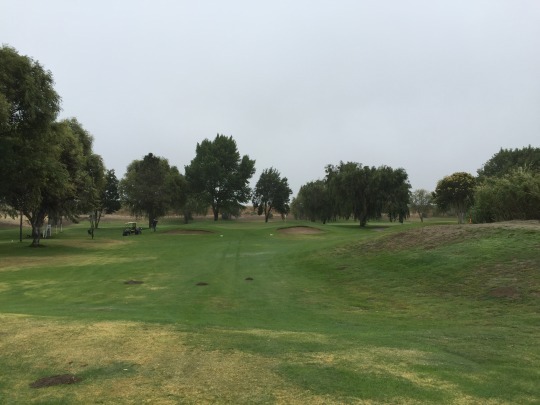 I paid my $15 for nine holes and went right out, never catching anyone else as I walked the course. I did have a routing mishap along the way, thanks to a poorly placed bench. 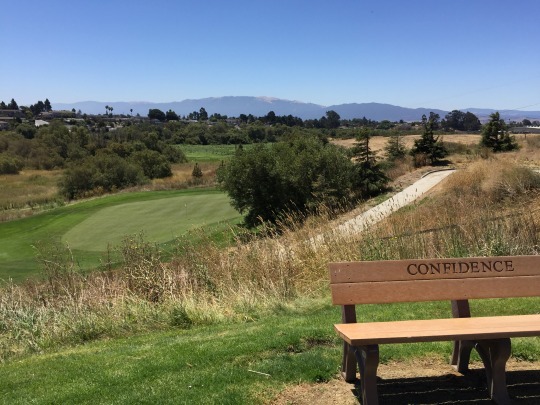 Next to the blue tees for the 7th hole, there is a bench that is labeled as hole 4/13. Being right next to the 3rd green, I naturally played this hole and then had to backtrack when I realized it wasn’t correct. That was frustrating! 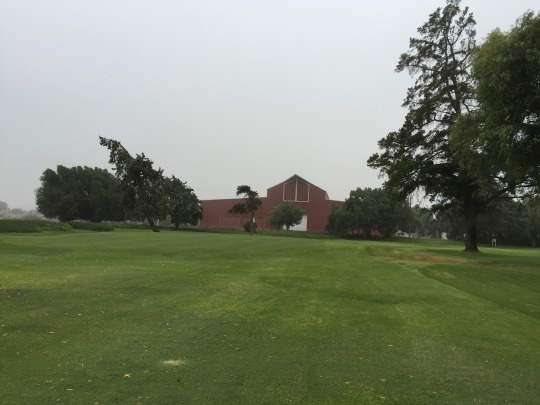 Gavilan is amidst the Gavilan College sports complex, but the course is always open to the public. They also have foot golf here. It is a par-31 layout. Only one of the par-4s is over 300 yards, but the par-3s are a pretty diverse mix of lengths. They range from 92 yards up to 181. The layout at Gavilan is very basic. The only real interesting holes are the 8th and 9th. The 8th is the shortest of the par-3s, but does have a little water hazard in front of the green. The 9th plays across a wash to an elevated green next to the small clubhouse. Conditions here were pretty mediocre. There were lots of bare areas and it was pretty dried out everywhere. I guess the greens were okay enough, though. They were in reasonably good shape for a course of this caliber. 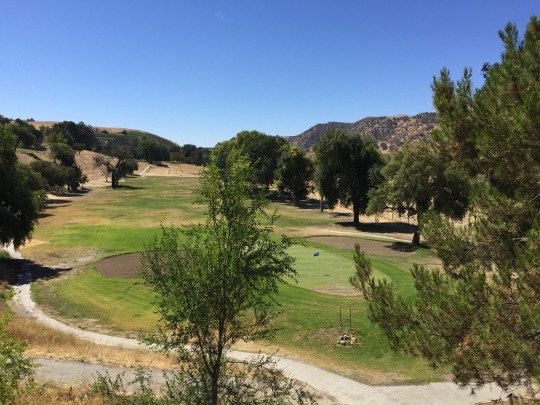 Gavilan is just another low-end locals’ course that was purely a checklist visit for me. There’s not much else to say about it. After La Purisima, I gave one of my friends a ride back home. 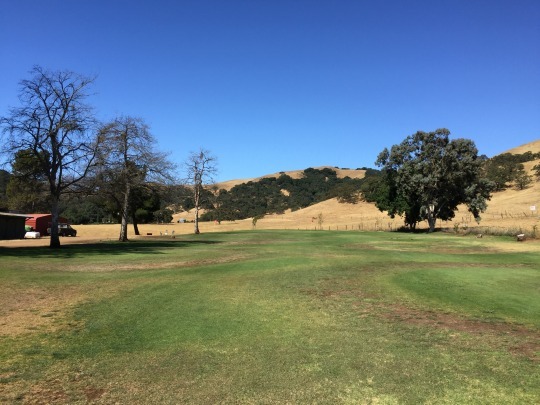 He’s a fellow course collector, so we wanted to stop and scout out this next little course. I think it’s technically private and meant to only be for members of the small Encina Royale community. However, we stopped by to check it out and the course was wide open. Nobody seemed to care that we were there, so we just played it quickly. Seriously, it took us less than 20 minutes to play this little course with a wedge and putter. We ran into several residents along the way and everyone was very friendly. 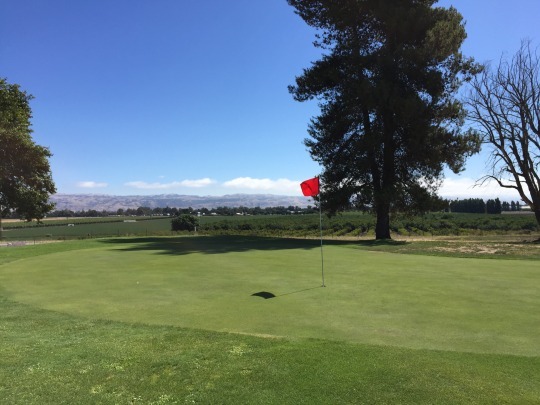 Encina Royale is just a pitch and putt course. You play off ratty old mats and hit to tiny little greens. 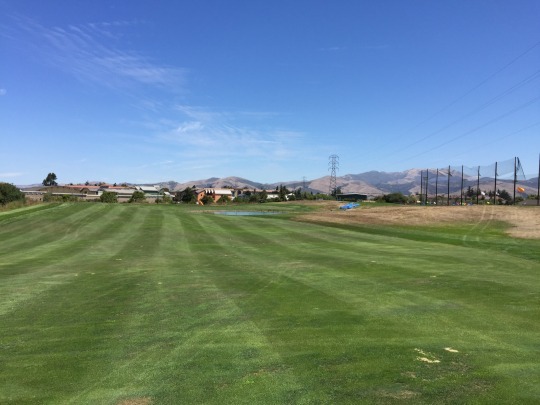 The holes range from 50 yards up to a whopping 71 yards. 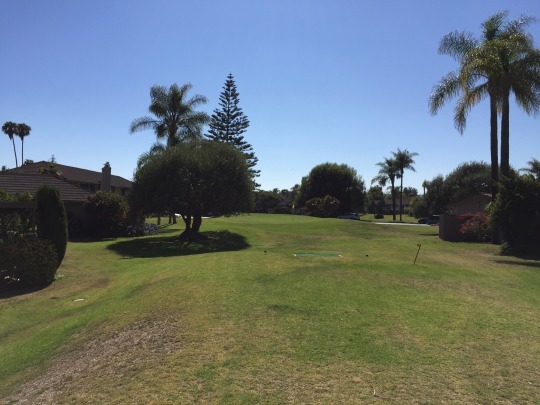 It’s very basic and simple, though a little tight in some areas with condos right along the course.